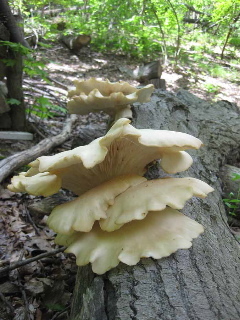 These are some Oysters found wild growing on some basswood/linden branches that fell. 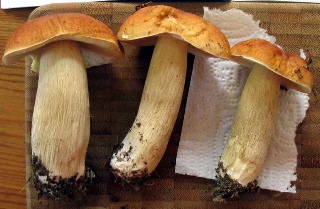 These are Boletus Edulis (Ceps, Porcini) found in 2008. (We subsequently ate them on pizzas). 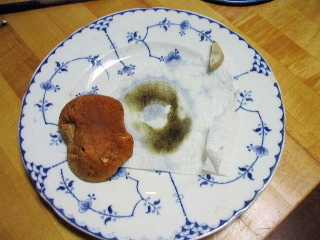 Here is a spore print from the Boletus Edulis. 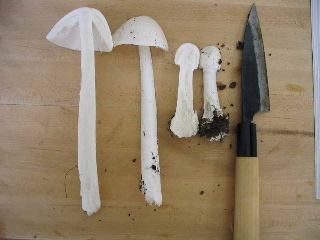 This is one of the ways you identify a mushroom. 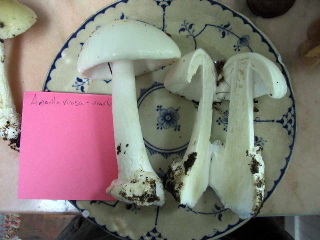 These are called “Destroying Angels.” Aminita virosa. These are extremely poisonous. 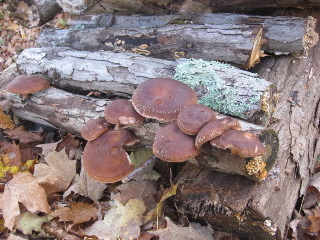 One of the ways to preserve mushrooms is to saute them up in oil or butter for several minutes. The point is to get them hot enough to kill off any cirtters that may be in there. Then just bag them up and freeze them. When you want to use them, just saute them some more to what ever level you want. I think I may have added some garlic in the initial saute of that shiitake batch, since I can’t imagine ever using them and not wanting some garlic in them. 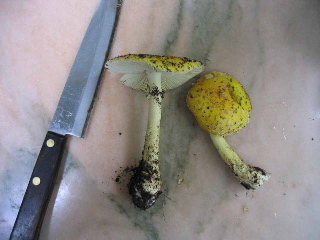 This entry was posted on November 12, 2010, 1:52 pm and is filed under garden, Mycology. You can follow any responses to this entry through RSS 2.0. You can leave a response, or trackback from your own site. This is amazing! Thank you and Daniel for this post!